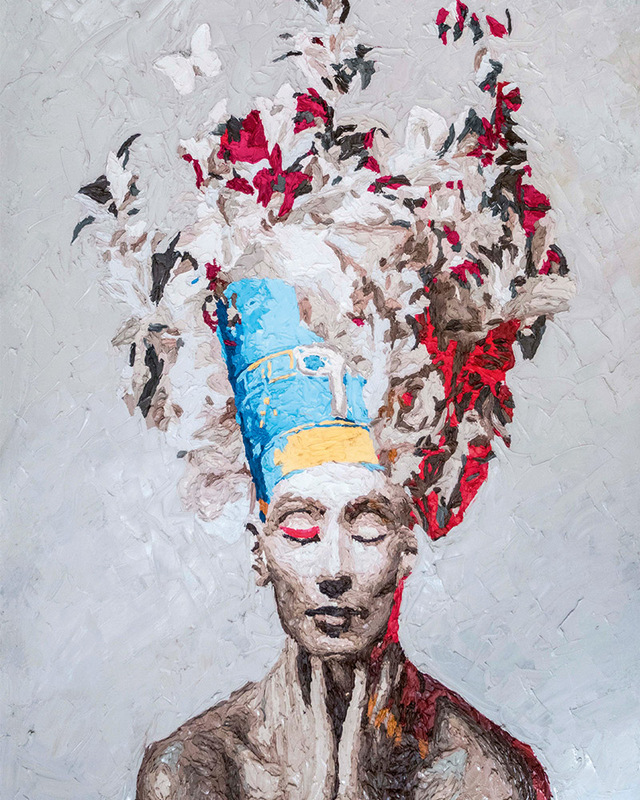 Barcelona-based Egyptian artist Hossam Dirar chats exclusively to Emirates Woman about how the freedom and emancipation of women all over the world is the most important message in his artwork. Everything in my environment inspires me. 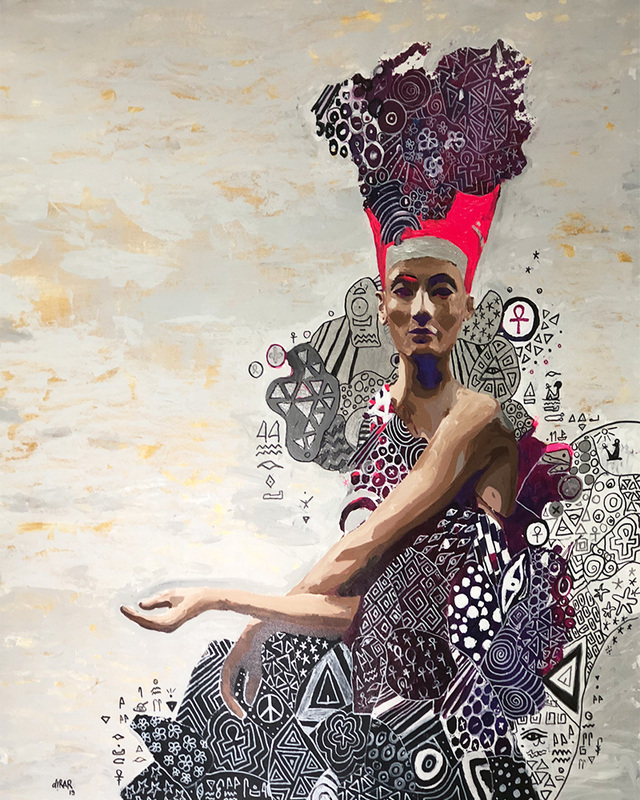 Living in two different cultures has allowed me to combine my European experience with my Egyptian roots, which are both core inspiration sources of my work. 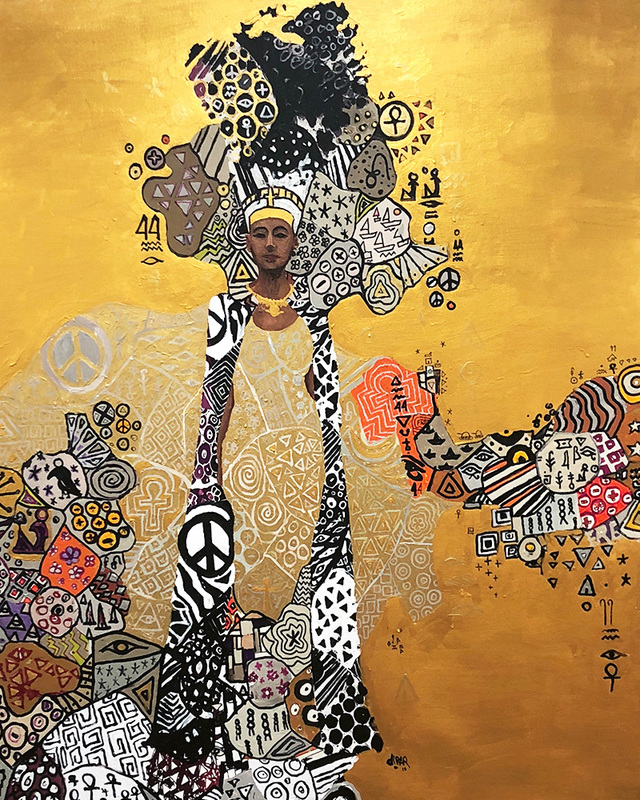 Another huge impact on my work derives from the two Austrian artists, Gustav Klimt and Egon Schiele; they both had a mind-changing influence on me. Currently, I’m studying Andalusian culture, which is an interface between Arabic and European culture, this has helped develop me as an artist, but it’s women that play the biggest role in my artwork and the message throughout is one of women’s rights, hopes and the emancipated lifestyle of European women. What is the main context to your work? How can history be seen and learned from without repeating it, referring to the famous novel by Stefan Zweig, The World of Yesterday. The female characters should express the need for emancipation and freedom. Moreover, I want to point out unique women in history and how we can understand them today. With their power and vision, they were able to change the world and this is what we should learn from them. In my historical paintings, important political messages can be discovered referring to the highly developed culture and the heritage that remains. How does your Egyptian heritage influence your work? me to investigate the female history of Ancient Egypt. I studied at the University of Applied Arts in Cairo (BA) and finished my Masters in Contemporary Art at the University of Fine Arts in Barcelona, Spain. I also received a diploma of Abstract Painting when I studied in Salzburg, Austria. What messages are you trying to send through your work? The freedom and emancipation of women all over the world. The inspiration derives from Ancient Egyptian culture influencing contemporary history. I’m drawing new interpretations and daring new creations of these personalities to make them more accessible to modern society. 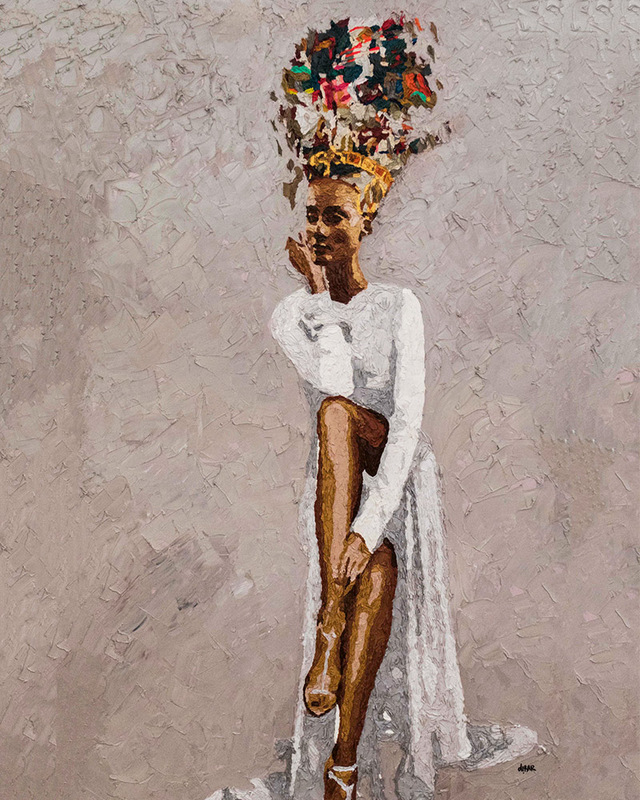 In my paintings, women are the symbol of freedom. 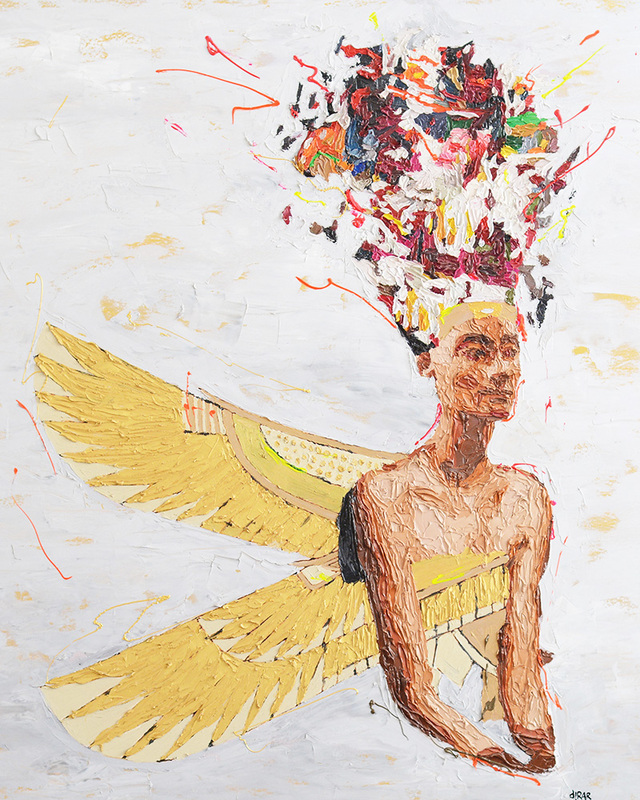 What do you love about contemporary art? I love the fact that its main purpose is to transfer a message, regardless of the aesthetic aspect. Contemporary art doesn’t make a claim of high perfection, but to follow the creation story of the painting. You can read the process and, generally speaking, the audience should be encouraged to think and discuss the displayed topics that occur in our daily life or that have to be discussed in society urgently. Contemporary art gives you an impetus to be puzzled, confused, amazed, angry, overwhelmed or simply spellbound. 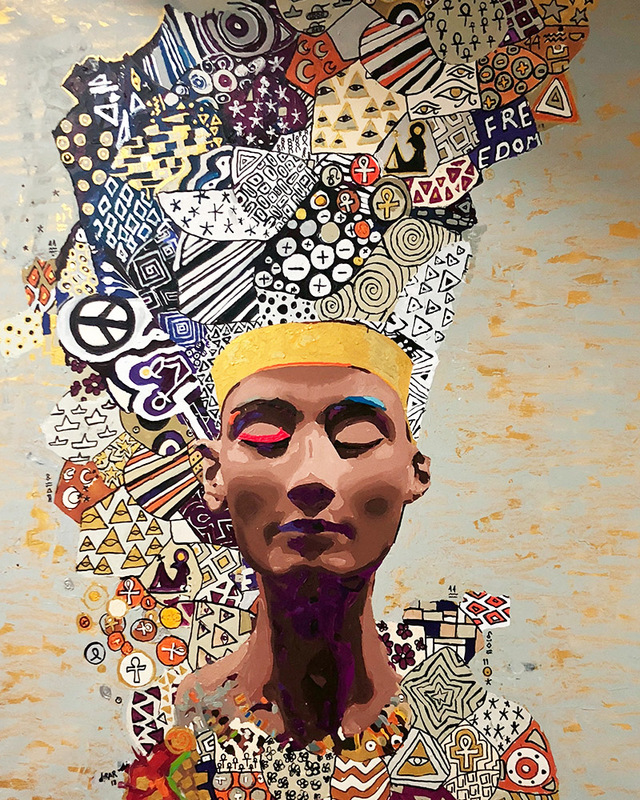 Taken from Hossam’s “Nefertiti” collection, these paintings attempt to challenge the modern woman’s status quo by depicting the Ancient Egyptian queen’s headdress on today’s woman.